Ugly cakes still taste great; and for the record, they’re not just ugly, these stacked cake tops are DDugly! It may not be the best looking dessert we make; but to get our cakes looking super fly, we have to level them by cutting the tops off. All that leveling left us with stacks and stacks of yummy cake tops that we would eat, send home with staff or throw out. One day we decided to layer the cake tops with our buttery frosting and viola! the DD ugly cake (aka The DDugly) was born. One day we decided to layer the tops with our buttery frosting and viola! the DD ugly cake (aka The DDugly) was born. It isn’t much to look at but the cake to frosting ratio is on point! While DDuglies are only available based on what we are baking that day, we end up with many flavors and combinations. 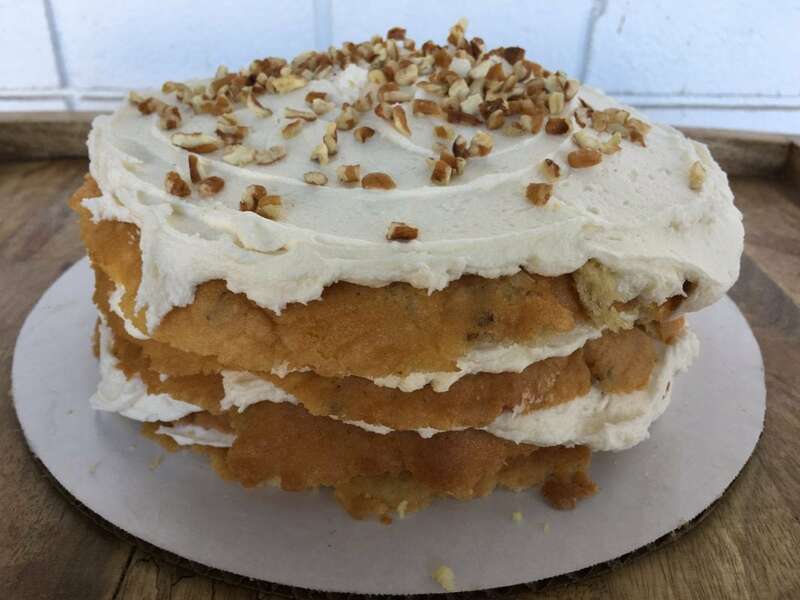 These cakes serve about 10 and are only $12.00 each! This entry was posted in The Dish and tagged Cake, DDugly. As Chief Content Curator, it's truly a pleasure to collaborate with creatives that share a hearty hunger for American Southern Delights. If over twenty years of coordinating content has taught me anything worth mentioning it's this: It's all about and only about connecting with your people. To do that let's find fresh, honest voices with strong and varied opinions about topics we love. And thank you so much in advance for sharing a little time with Delightful Dishes!